Searching for orthodontic braces in Miami Gardens, Florida? Dr. Carmen Briceño Crespi of Miami Lakes Orthodonitcs is a leading provider of Invisalign and braces in the South Florida area. If you are ready to get the smile you always wanted call us today! Orthodontic Braces is a device that many many people use to aid with adjusting their teeth. Braces can perform a lot more than boost your smile, however you will need to spend some time to take care of them in the right way. There are numerous tips that you need to know about when cleaning your braces; like flossing and brushing. You must carefully cleanse your braces as well as your teeth to ensure that there is not any plaque build-up. To achieve this, you should floss and brush your braces and teeth correctly. There are several steps that you ought to take when doing this. The first is prep your braces for brushing. To achieve this, you must get rid of the elastics around the braces and any other removable parts. These parts may become broken when you brush and will cause problems. You should cleanse your braces with your brush. You have to hold the toothbrush at a forty-five degree angle to ensure that you cleanse about the pins and wires. You ought to brush each wire from top to bottom and take care to ensure that you take out all the plaque and debris. It is recommended that you begin with the braces against your upper teeth followed by the lower teeth. As soon as you have cleaned your braces, you must brush your teeth. Each tooth ought to be cleansed individually following a circular motion. You need to be careful with the level of pressure you apply when burshing your teeth and brush the inside and outside top of the teeth. Once a day, you must floss your teeth. Your orthodontists can demonstrate to you the best method to floss with the braces that you have. You need to follow these instructions and make use of the flossing product that was intended to be used with braces. Once you finish flossing, you have to rinse with some water or mouthwash. You have to then examine your braces and teeth in the mirror to search for spots which you might have missed. If you discover any, you have to brush that area again to be sure that your braces are properly cared for. 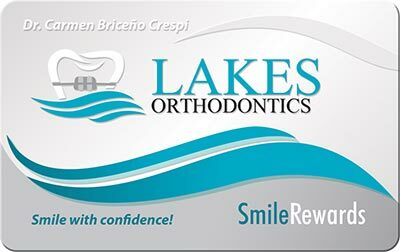 Why Choose Lakes Orthodontics as Your Miami Gardens Orthodontist? During the time that you have your braces, you have got to frequently go to your orthodontist. This can help you maintain your braces and make certain that sit correctly. Scheduled modifications is going to be done during the entire time you keep the braces and you will feel some tightness at these periods. These visits will likely give your orthodontist the chance to check that your braces will still be in great condition. If you notice anything strange with your braces, you should tell the dentist if you visit them. Problems with the braces can often be repaired fairly easily should they be caught early and they may not give you pain. There are a number of tips that you need to know about when taking care of your braces. Cleaning your teeth and braces correctly is critical and you must make time to do that correctly. You should also be open with the orthodontist with regards to and issues that you have. If you would like more info in regards to the Miami Gardens orthodontic services offered by Dr. Crespi of Lakes Ortho stop by at our Invisalign blog!